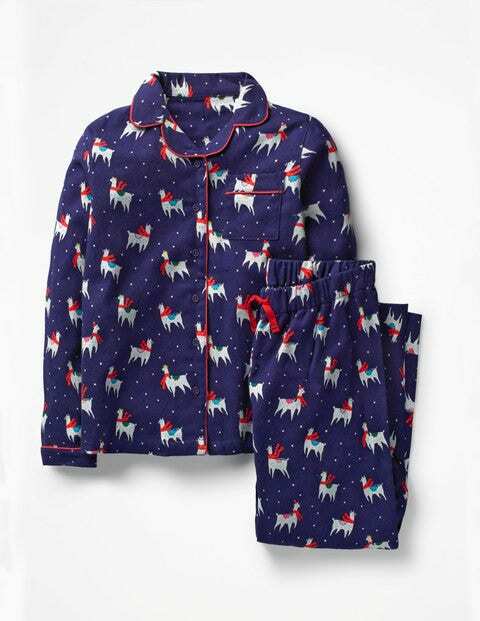 Christmas Eve seems to last FOREVER, so make the night as comfortable as possible with an extra-special patterned pyjama set. Crafted from supersoft brushed cotton twill, they have an elasticated waistband for a secure fit. They're finished with contrast piping and a functional pocket to store those much-needed midnight snacks.